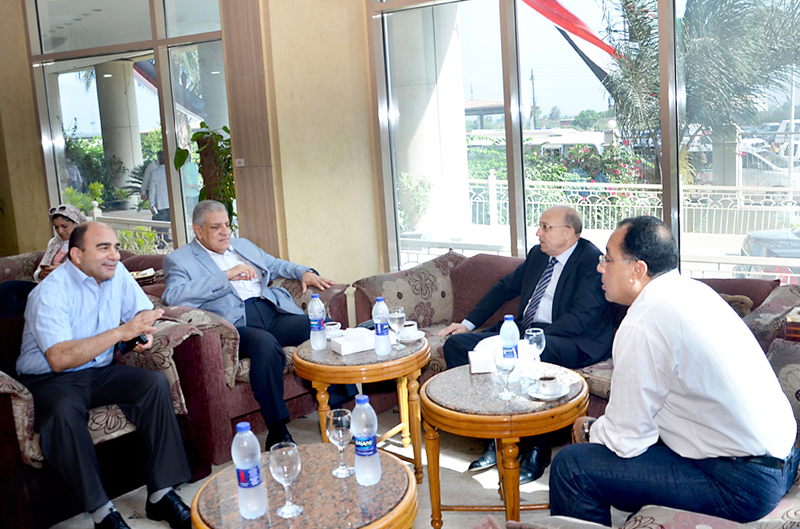 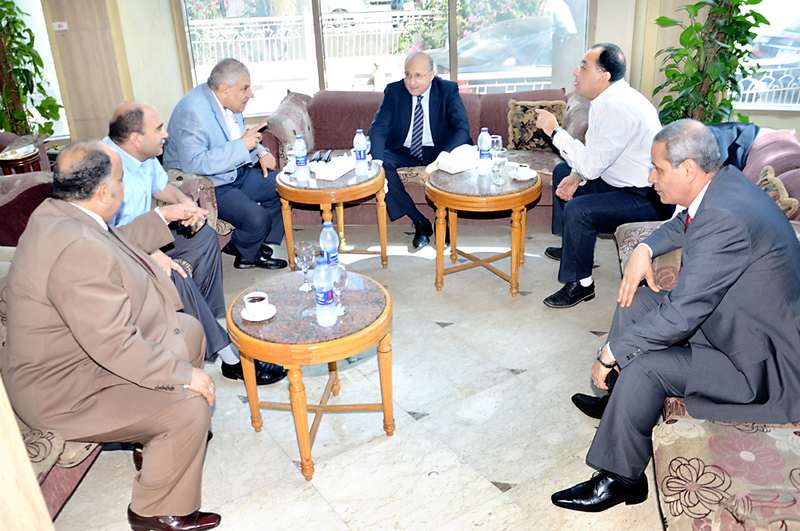 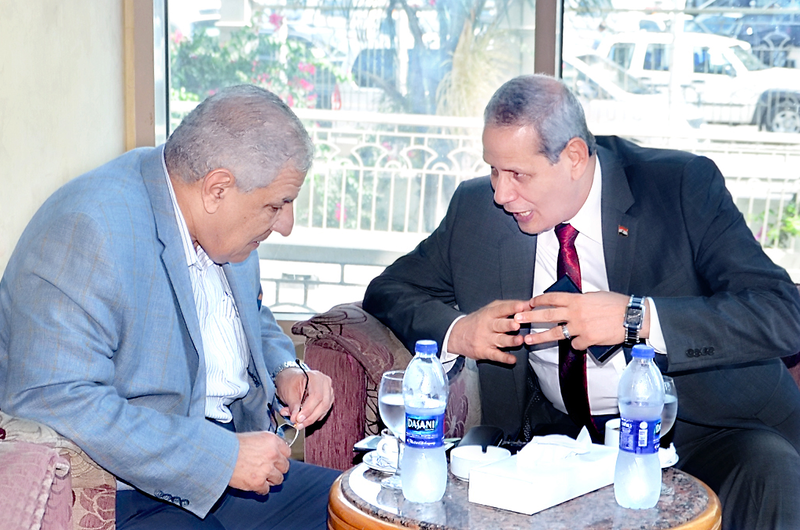 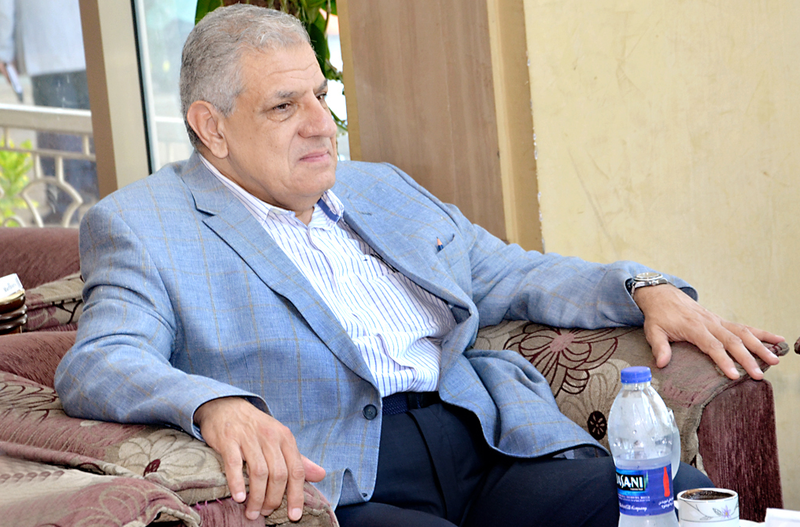 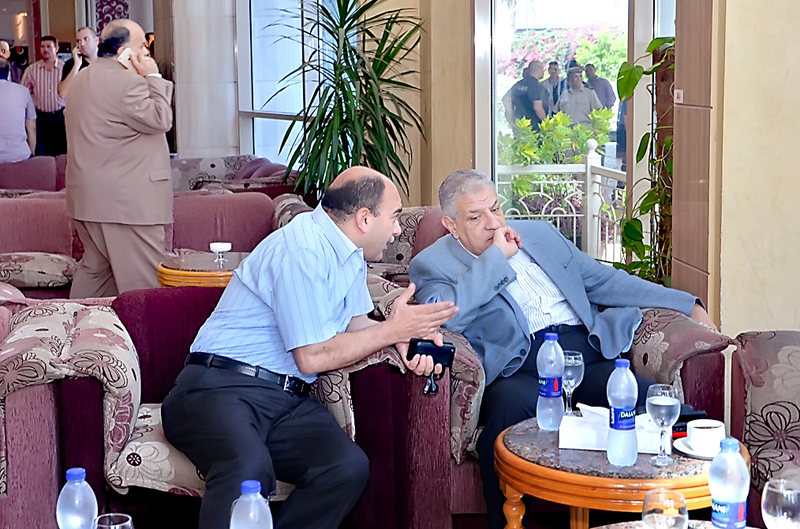 On Saturday 22nd , August 2015, the University hotel received the Egyptian Prime Minister' Ibrahim Mahlab, on his visit to El.Dakahlia Governorate accompanied by the Ministers of Health, Population, Planning, Agriculture, and Irrigation. 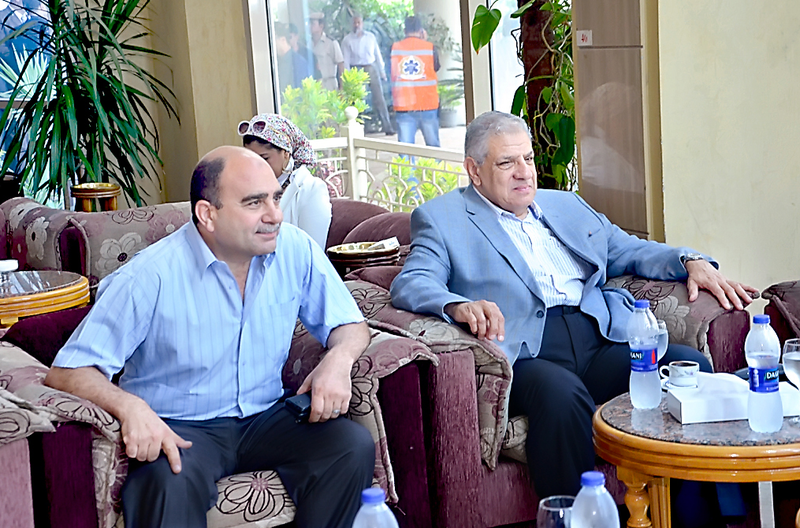 Upon his arrival, he was welcomed by Prof. Magda Nasr, the University Vice-President for Higher Studies and Research ; Prof. Mahmoud El. 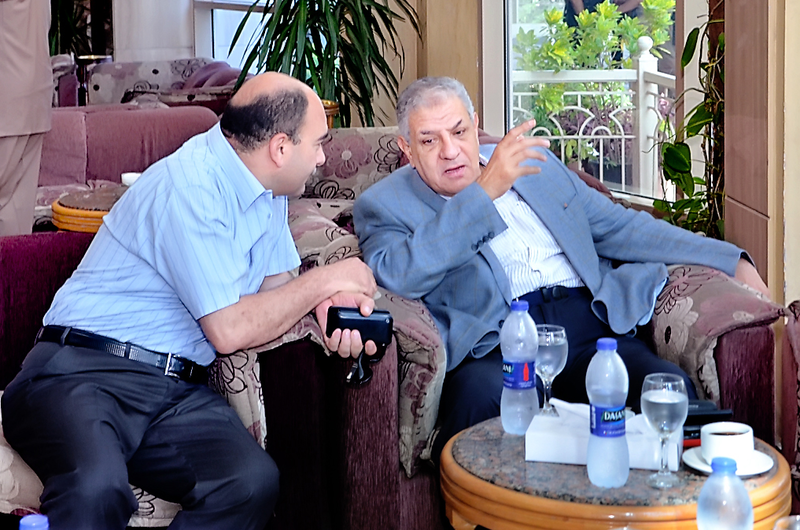 Melegi, the University Vice- President for Community Service and Environment Development ; and Prof. Elhelaly El.Sherbeiny, the University Vice –President for Education and Student Affairs. 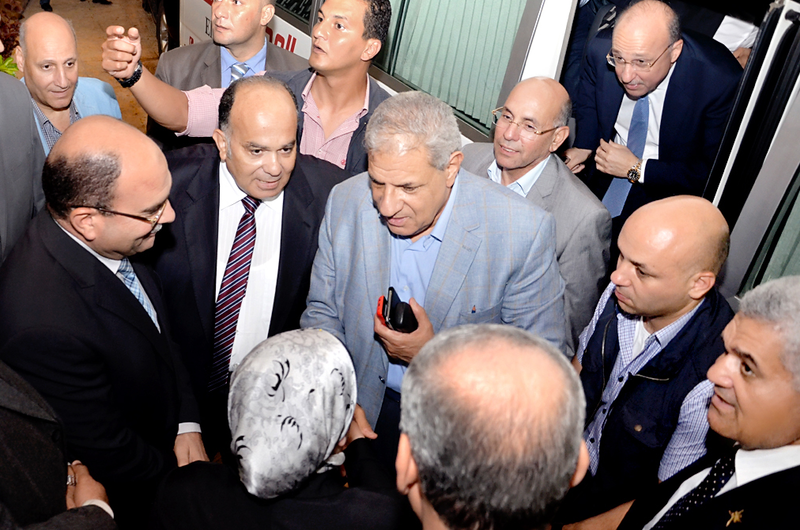 On Sunday Morning, 23rd , August 2015, his Excellency started his tour in El. 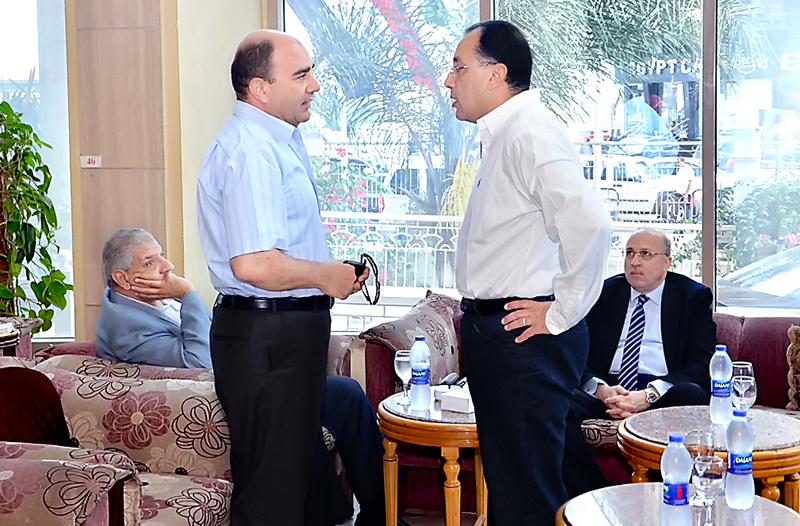 Dakahlia Governorate.